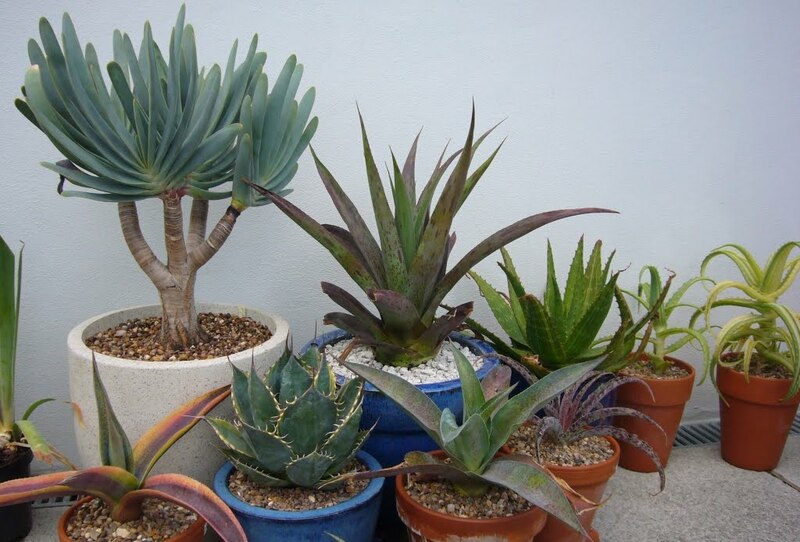 Most succulent fanatics can not help propagating their plants, even when they don't need more. It could be the challenge of trying a new method, or just the thought that it is a waste to chuck anything away when it can be grown into a new plant. Whatever the reason, the result is often a lot of spares sitting around waiting for a good home. 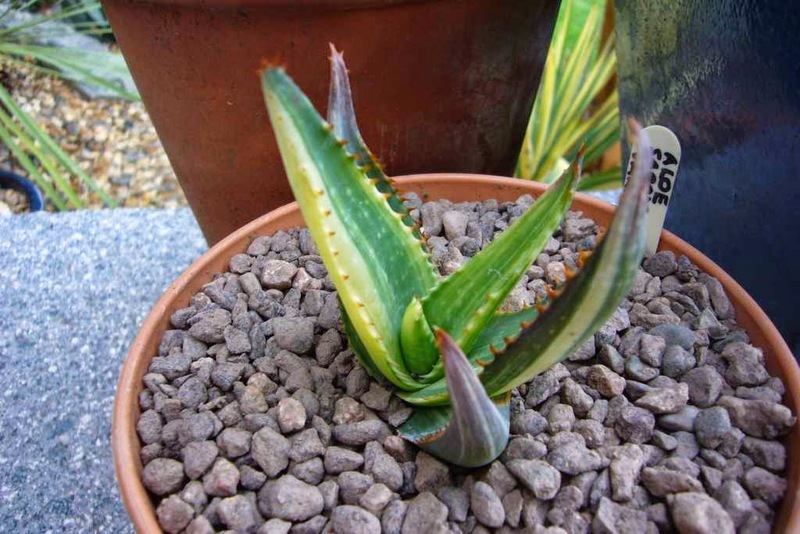 I have been dividing my variegated aloe saponaria over the last couple of years and now have a few pots of different sizes and varying degrees of variegation. 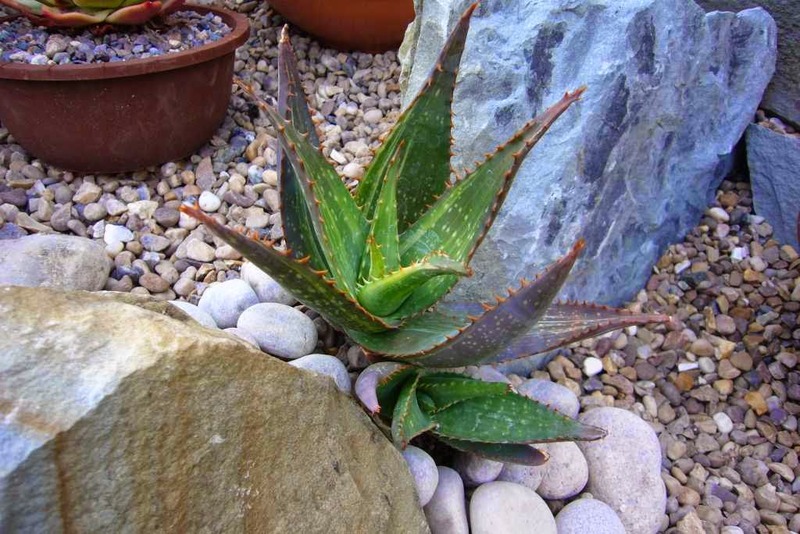 With empty spots in the succulent rockery I couldn't resist adding one of the less variegated groups. It probably wont survive this winter, but the advantage of all those spares means I can see what happens. While doing this I split out the best one to grow on. 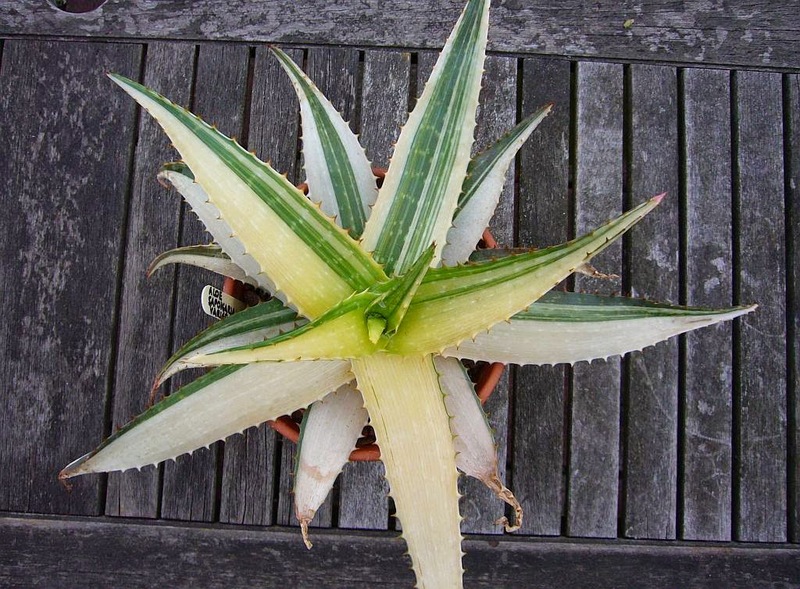 They tend to get more variegated as they get bigger often ending up almost totally white or yellow. I have high hopes for this one for next year, hopefully it will turn out as well as it's grand mum. Oh, that last one is a beauty. Just enough green to keep it alive. It was actually real quick growth wise, which surprised me.